The U.S. Occupational Safety and Health Administration (OSHA) has fined SeaWorld $75,000 for the death of a trainer at the Orlando theme park in February. The Orlando Sentinel reports that the federal fine raises the question of trainer safety when interacting with orcas during the well-liked Shamu show at SeaWorld parks in San Diego, Orlando and San Antonio. If the penalty remains intact, SeaWorld may be required to adhere to new safety standards and even eliminate their popular attraction that involves trainers swimming with killer whales. Ever since the SeaWorld employee’s death, SeaWorld establishments have prohibited trainers from entering the tanks with the whales. In raising concern over how SeaWorld monitors its premises for employee safety, federal workplace safety officials claim that the company has exposed workers to drowning or being injured or killed by the killer whales during training or shows. OSHA also stated that SeaWorld exercised “plain indifference to or intentional disregard for employee safety and health.” In failing to make appropriate changes to heighten the quality of workplace premises safety, SeaWorld’s violations correlate with how it neglected to maintain and regulate its property. Property owners, including those who manage a business, are responsible for the upkeep and management of a premises, especially one in which many people pass through and call their place of employment. While the SeaWorld wrongful death incident represents a rare fatal premises accident, employees and many others are at risk of injury and even death when property owners neglect to make sure that their property is safe and free of any hazard that could impose harm. If you or someone you know has been injured on another person’s premises due to the property owner’s negligence, you may have a San Diego premises liability claim in which you can obtain compensation to offset expenses associated with your injury. 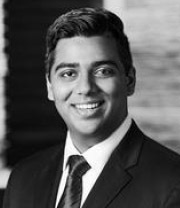 Family members of wrongful death victims also have valid legal rights to pursue compensation for their loss and other damages. As a skilled San Diego premises liability attorney who also has years of experience in wrongful death litigation, Steven Elia can help you hold negligent parties responsible for your premises liability accident. 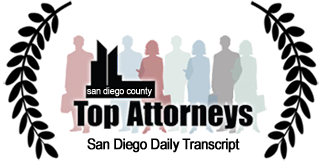 Call 619-444-2244 for a free consultation and to learn more about your legal options.